“CAPM Exam Prep Fourth Edition” is the best-selling PMI CAPM exam prep book since 1996. PMI’s Certified Associate in Project Management (CAPM)® is a valuable entry-level certification for project practitioners. Designed for those with little or no project experience, the CAPM® demonstrates your understanding of the principles and terminology of A Guide to Project Management Body of Knowledge (PMBOK® Guide), the standard of project management’s generally recognised good practices. 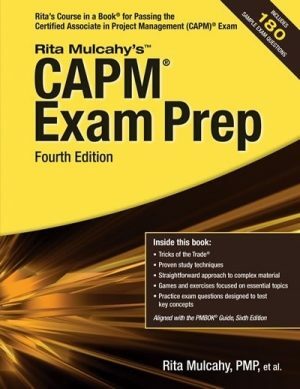 Practice exams and questions for nearly a full CAPM exam. The CAPM exam consists of 150 multiple choice questions to be answered in 3 hours. Candidates are required to pick a correct answer from among 4 choices for each question. The CAPM exam is generally considered to be much less difficult than the PMP exam. 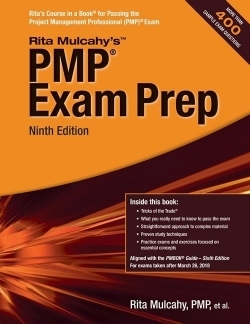 Like all PMI exams, the CAPM is also computer-based and can be done in many languages. Stay up to date. Subscribe now.